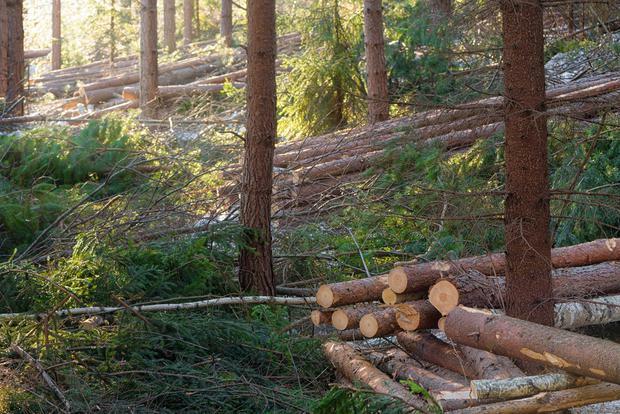 The Hardware Association of Ireland has warned that, of its members, the timber sector faces the “greatest challenges” when it comes to Brexit. AnneMarie Harte, chief executive of the association, said that its members source around 20pc of their imports from the UK. In addition, over half of Irish sawmills’ output is exported, with 95pc of those exports going to the UK. "The Irish timber sector contributes €2.6bn to the economy and sustains 12,000 full time rural jobs directly and indirectly," Ms Harte said. "Over half of Irish sawmills’ output is exported, and 95pc of those exports go to the UK. In addition, 90pc of panel products produced in Ireland are exported, with two thirds going to the UK." Speaking at the association’s 80 anniversary conference, Ms Harte went on to say that the timber market in Ireland operates on an all-island basis with roundwood and processed timber flowing smoothly in both directions between Northern Ireland and the Republic. "In these circumstances the Government must pay particular attention to the needs of the sector in any Brexit negotiations." Meanwhile, she said that the ongoing recovery in the housing sector, coupled with Ireland's economic recovery are driving strong growth in the hardware sector. Ms Harte said that the industry, including retail, wholesale and manufacturing, is now responsible for direct employment of 19,000 and an overall economic contribution of €377m. "With the economy forecast to grow by between 4pc and 5pc in the coming years the sector could create a further 2,000 jobs between now and the end of the decade," Ms Harte said. Ms Harte went on to say that, despite very weak levels of activity in the sector in recent years, hardware sales have recovered strongly. The pickup in housebuilding means that the sector expects growth to accelerate, which the association said will translate into increased employment. "According to the latest Central Statistics Office figures the hardware sales grew by 5.1pc in 2017," Ms Harte said. "We can anticipate an increase in this figure during the next two years as a result of additional housebuilding." Meanwhile DCU Associate Professor of Economics Tony Foley said that the industry could be set for a further boost in the coming months as the deadline for the Home Renovation Improvement (HRI) approaches. "The latest figures released reveal that the HRI has exceeded an estimated €1.85bn in works since it was introduced in 2013, with the majority of the spend undertaken in just three counties; Dublin, Cork and Kildare," Professor Foley said. "Home extensions, general repairs and renovations and window replacement top the list of works completed under the scheme, with an average spend of €16,187. We can anticipate an increase in applications for the schemes as we approach the December 31deadline and this will drive further growth in the hardware sector." Commenting on the HRI scheme, Ms Harte called for the scheme to be extended to "both to improve people’s lives and to stimulate further growth in the economy."